1 out of 1 (100%) reviewers said they would recommend this vehicle to a friend. Unlike its competitors the BMW 3 Series Touring and Mercedes C-Class Estate, the A4 Avant offers slightly more boot. I can take my labrador out and not have to invest in a chunky SUV. Also a lot of my friends happen to be slightly above 180cm, and they find the rear headroom more comfortable than most of Audi's sedans. But I guess what I love the most about this car is its interior. And I'm sure most Audi owners will agree with me when I say they have some of the plushiest cabins around. The A4 Avant is no different, the controls are responsive and well placed. Authorised Distributor Audi cars are Audi A3 Cabriolet Reviews, Audi A3 Sedan Reviews, Audi A3 Sportback Reviews, Audi A4 Sedan Reviews, Audi A5 Cabriolet Reviews, Audi A5 Coupe Reviews, Audi A5 Sportback Reviews, Audi A6 Reviews, Audi A7 Sportback Reviews, Audi A8L Reviews, Audi Q2 Reviews, Audi Q5 Reviews, Audi Q7 Reviews, Audi Q8 Reviews, Audi R8 Reviews, Audi RS4 Avant Reviews, Audi RS5 Coupe Reviews, Audi S3 Sedan Reviews, Audi S3 Sportback Reviews, Audi S4 Avant Reviews, Audi S4 Sedan Reviews, Audi S5 Cabriolet Reviews, Audi S5 Coupe Reviews, Audi S5 Sportback Reviews, Audi SQ5 Reviews. Parallel Imported Audi cars are Audi A5 Cabriolet Reviews, Audi A8 Reviews, Audi A8 Diesel Reviews, Audi Q3 Reviews, Audi Q5 Reviews, Audi Q7 Reviews, Audi Q8 Diesel Reviews, Audi S5 Cabriolet Reviews. sgCarMart is the number one car site for buying Singapore cars, including new cars, parallel import cars, Toyota, Honda, Nissan, Volkswagen, Mitsubishi & BMW. 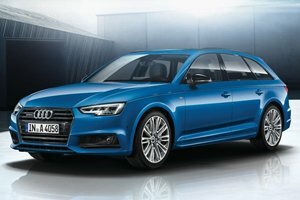 We have new car dealers comprising parallel importers, authorised car distributors, and used car dealers who have the New Audi A4 Avant latest price Find new car pricelists, new car launches, new car promotions, new car reviews, latest car news & car articles. Read the New.Audi A4 Avant consumer reviews to help you decide on buying a car. Also join our car discussion and forum discussion for car reviews, motoring news & motoring guides. Visit our partner sites who have job openings for Singapore jobs, Singapore classifieds, mover and real estate properties for sale.